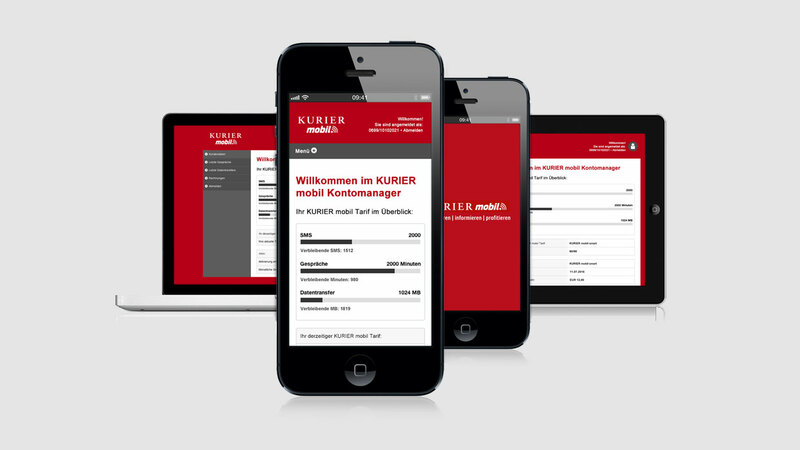 KURIER mobil started life as a so-called Branded Reseller on the Austrian market in a joint venture between Mediaprint and A1 in September 2016. The biggest challenge: to acquire new customers in a saturated segment. And to specifically appeal to a core target group aged 50 years and up. Anyone who has dealt with a market and its dynamics intensively for years as we have, can and must not only keep the big picture in view but also regularly and critically examine the fine details. Therefore, it is basically about thinking in fresh and contemporary terms. In this sense, this project is a very good example of how we work, how we also think from the perspective of the consumer and consequently derive the concept and design of the individual tools. 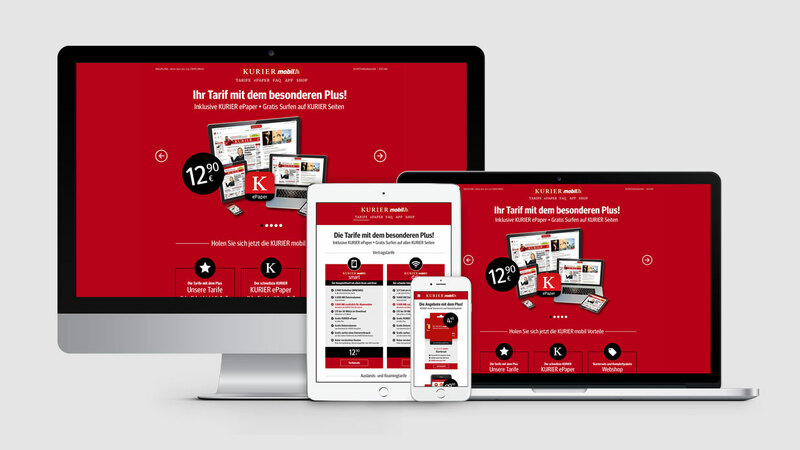 Specifically, this means: a particularly simple, comprehensible website in the style of the existing brand design, which fulfills modern usage patterns in conjunction with clear texts and explanations (keyword: responsive design).